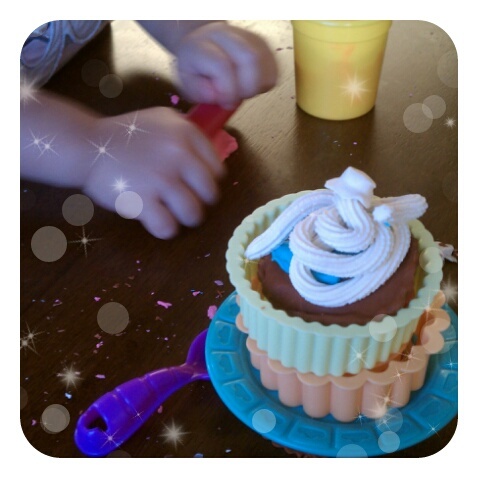 Had a lot more fun than I expected playing with playdoh with my princess niece and her brother ninja nephew. It would seem like playing with a clay like substance would be right up my alley...making stuff, right? But the OCD part of me doesn't like when the colors get all mixed up and how it gets everywhere and how quickly it dries up, flakes and gets stuck in every little crease and crevice. But seeing how much they love playing with the stuff trumps the annoyance of it. I thought that was a real cupcake!